Regression testing your Kronos deployment isn’t an option, it’s a must. But, ensuring your system continually delivers accurately and with precision doesn’t have to eat up all your time and resources. Now, you can cut testing time by 90% and confidently deliver updates to your Kronos platform! 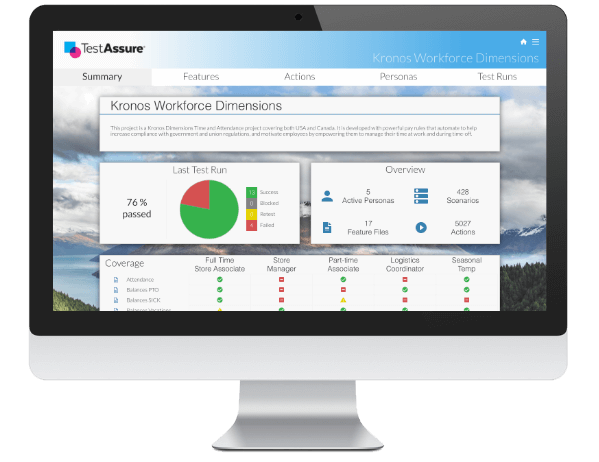 See how TestAssure can maximize your Kronos Workforce Management System investment. Is it your responsibility to pay employees accurately? Thinking of building an automated testing framework? Think automated testing is expensive or unobtainable? Is continuous Enterprise testing slowing down project delivery? The ONLY Kronos Testing Partner. Smooth deployment and managing constant change with fewer headaches is what you want. Our automations are developed in lock-step with Kronos, so you’ll have confidence at every stage of your journey. Test your deployment, not your patience. TestAssure removes the burden and complexity of manual regression testing so your team can focus on innovations that move your business forward…faster. Less time testing means more time delivering. TestAssure removes the burden and complexity of manual regression testing so your team can focus on innovations that move your business forward faster. Be ready for system updates. 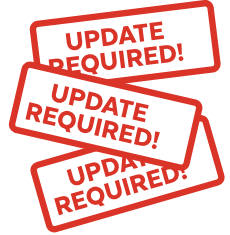 Stay ahead of testing ongoing Kronos updates and fundamental configuration changes with fewer resources and in less time. 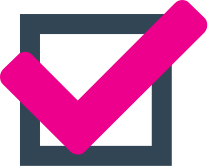 Remove the pressure and burden of validating production releases, so your team can focus on innovations that accelerate your business. Stay ahead of testing ongoing Kronos updates with fewer resources and in less time. Compliance you can count on. When regulatory change is the one constant you can always count on, TestAssure gives you the fast, reliable testing you need to keep your Kronos System compliant with changing labor laws. Ready to do more with your Kronos System?